Seven picks that slay travel for your next ski adventure. Stylish, functional, and above all, comfortable. The Denver-based brand is helping revive Colorado's manufacturing industry by producing winter accessories under its own roof. The ever-changing world of fashion and technical outerwear has come a long way in the last 60 years. This pro skier-designed mitten does more than keep your digits toasty. Ensure your phone stays alive on the slopes with this pocket technology from Helly Hansen. Rustic comfort for your weekend ski-cabin forays. A whole new meaning to the term "nut-huggers." Which is better? Well that depends on how you're using it. For active days on the slopes, these jackets, packed with down-alternative insulation are giving the goose a breather. 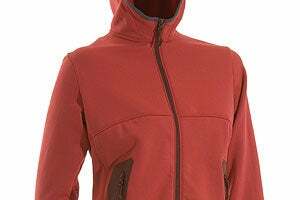 Our Silverton correspondent weighs in on two new warmers.